“With a team of over 50 specialist designers and engineers, and offices in both Sydney and Melbourne, we pride ourselves on creating human solutions to complex problems. We challenge every convention to develop ground-breaking ideas and turn them into compelling products. We rise to literally any challenge, designing and engineering solutions where there is no room for error. We make large, complex products look stunningly beautiful and perform perfectly, all under tight regulatory constraints,” said Hunter. With their leading-edge approach to manufacturing, it is little wonder that D+I boasts an impressive array of products, clients and projects. Their team developed the cockpit layout for the Deepsea Challenger submersible that sent director James Cameron to the bottom of the Mariana Trench, the deepest point in the world’s oceans. No mean feat, D+I collaborated with pilots, oceanographers and medical specialists to understand and anticipate risks, incorporate human behaviour variables, and overcome the significant engineering challenges. They even re-invented the wheel. 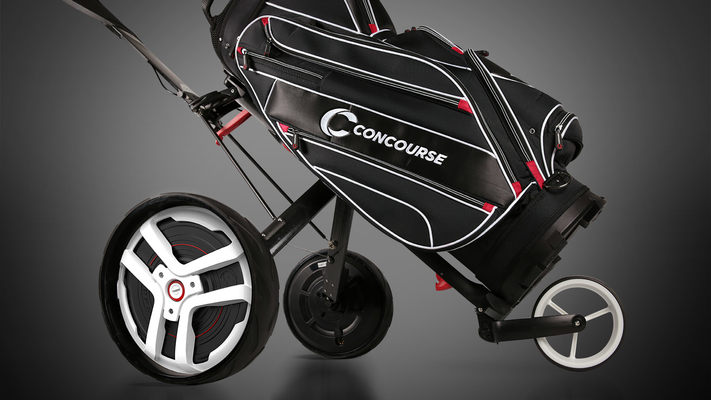 In collaboration with Concourse Golf, D+I designed ‘Smart Wheels’—the world’s first self-propelled wheels that deliver both powered mobility and precision control to anything to which they’re attached. Not surprisingly then, D+I have won over 170 awards for design and engineering excellence. These local and international awards acknowledge their ability to deliver innovative solutions for global markets. In fact, approximately 30% of D+I’s work is exported overseas—delivering Australian design expertise to the world—and 95% of all products developed by D+I are produced for commericalisation. D+I was recently certified to ISO 13485:2016 for Medical devices, an achievement of which Hunter is justifiably proud. “Certification to ISO 13485 is extremely difficult to achieve. It took us four years to finalise our certification,” said Hunter. “With these combined capabilities—our expert industrial designers and the best partners in electronics—our products are highly competitive on the global stage,” said Hunter. An important aspect of technology leadership for D+I is bringing together a range of collaborators. This way, D+I becomes a think-tank, an innovation hub that sparks interesting outcomes—whether these outcomes are exploiting a traditional technology in a new way, or creating an entirely new product.